Jung-il (SUL Kyung-gu) and Soon-nam (JEON Do-yeon) were just ordinary parents happy to raise their two lovely kids. One day, while their son Su-ho was away on a school trip, they are suddenly told that he passed away in a dramatic accident. With all the happiness gone at once, the family starts to break apart. 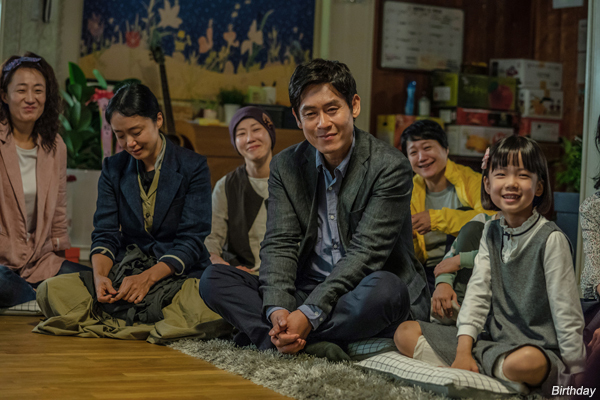 Not having been able to protect his family, Jung-il considers he has failed in his duty as a father. Meanwhile, Soon-nam mourns in silence while still doing her tedious job at a supermarket. While the pain seems to grow every day, they find some form of comfort among the other bereaved families. The story is based on the true events of the 2014 Sewol Ferry disaster that claimed more than 300 lives, mostly teenagers, and profoundly shocked the nation. Cannes acting award winner JEON Do-yeon (Secret Sunshine, 2007; The Housemaid, 2010) and SUL Kyung-gu (A Peppermint Candy, 2000; The Merciless, 2017) reunite on the big screen for the first time since I Wish I Had a Wife (2001) to portray the intimate struggle of the thousands of people directly affected by the catastrophe, beyond the headlines and the many controversies that followed. Making his commercial debut with this film is LEE Jong-eon, who previously served as an assistant director on LEE Chang-dong’s Poetry (2010) and Ounie LECOMTE‘s A Brand New Life (2009).